Reluctant to linger in the kitchen because the rooms were cluttered and cramped impressed? Maybe it is time you re-arrange your kitchen. The first thing you can do is adjust the placement of the items in the cabinet. Here are tips may help you simplify the kitchen to make it more neat and organized. Activity in the kitchen became more comfortable. 1. 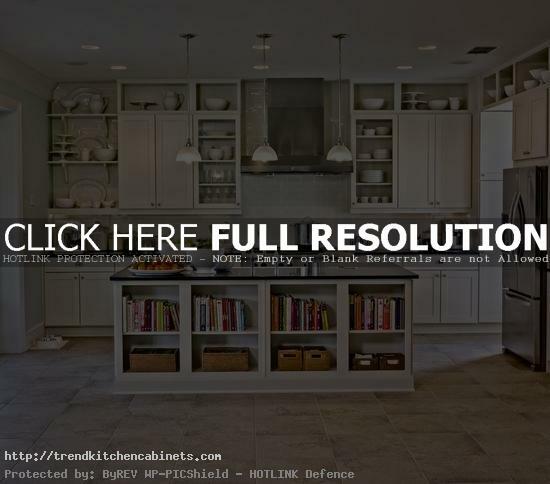 If your kitchen consists of a kitchen set with more than one cabinet, ranging from the end of the cabinet. Remove all contents from the cabinet. 2. Determine, what you would put in the cabinet first. Is eating utensils, cooking utensils, food or cleaning supplies? You must classify the goods in each cabinet. For example, the first special cabinet for glassware and a second cabinet for food. 3. Examine goods and groceries you have to spend. Check if any items were damaged and cracked, or food that has expired. Should immediately get rid of the goods or foods that are not suitable to be used to save space. 4. If it determines the cabinet will be used to store anything, label statements on the cabinet door. For example, if the food is stored in the cabinet, attach the label says ‘food’. Do not put items other than food in the cabinet. So also with the cabinet. You should emphasize self-discipline is also a member of the family. 5. Organize the inside of your cabinet. Just place the items that are important and frequently used. A rusty frying pan, a spatula handle damaged or should not be placed in the cabinet. Keep it in storage or donated to the junkman. 6. For kitchen spices such as salt, sugar, pepper, oil or soy sauce, store in an airtight container first, then stacking in the cabinet. This method will allow you to look for it when it comes to cooking than store directly in the packaging. Besides being unsightly, possibly spices will also be scattered and makes the kitchen look dirty.